DNA tests have allowed police to formally identify the driver who died in a fatal crash near Goodwood Racecourse. Sussex Police today (December 24) named Ben Finch, 42, from Lancing, as the driver of a black BMW M3 that crashed into a tree on November 29 and burst into flames. The police said in a statement: “Police are now able to confirm the identity of the driver of a car who died in a road traffic collision on Saturday, November 29, 2014, at Selhurstpark Road, Goodwood. “He has been named as Ben Finch, 42, from Lancing. 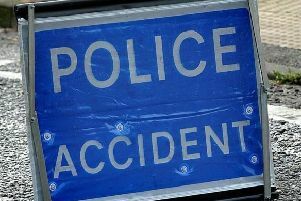 Mr Finch was driving a black BMW east on Selhurstpark Road, when it left the road and collided with a tree at about 3.30pm. Police have repeatedly appealed since the crash for the driver of a dark-coloured Land Rover Defender 100 to come forward, whom they believe may have witnessed the crash. Anyone with information should email collision.appeal@sussex.pnn.police.uk or phone 101, quoting Operation Ardara.